Distance: 7.8 miles / 12.6 km Ascent: 330 metres Terrain: A high level moor walk with moderate climbs on rough paths in places. The path approaching Horncliffe Well may be muddy though sections have been improved. The return leg uses field paths where there are a number of stiles. 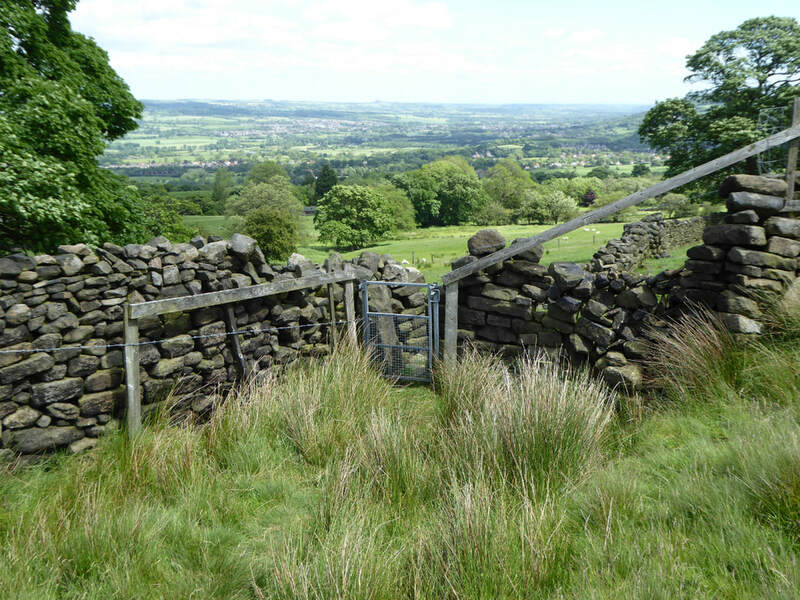 Introduction: This walk takes you up on to Burley Moor and returns via Hawksworth Moor. In the process, it visits Lower Lanshaw Dam (reservoir) and Lanshaw Rocks where there are some interesting rock carvings. The route then crosses the moor to Horncliffe Well. This was first mentioned in records in 1273. It was then a free flowing well, which never dried even after droughts and at one time opened on to the moor over an old stone. 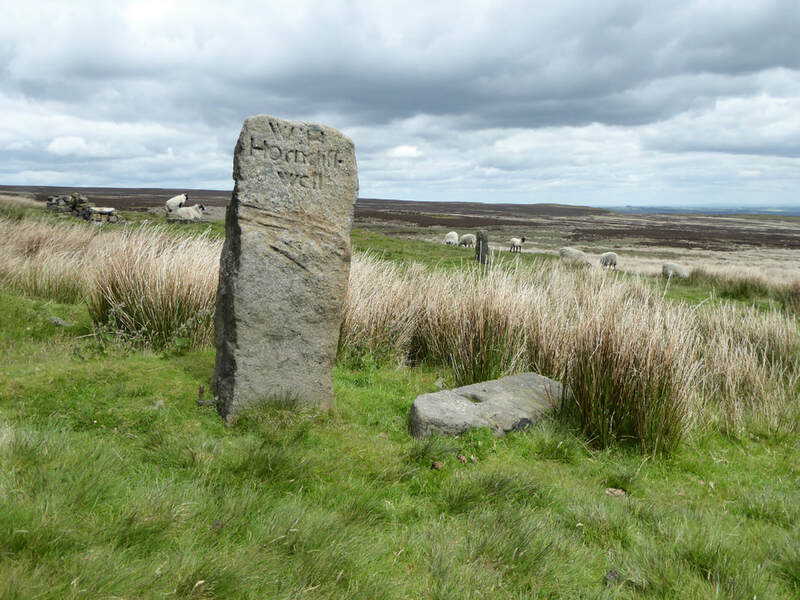 It was said to have healing powers and was no doubt a boon to those making their way across the moors. Unfortunately, after Yorkshire Water acquired it, the original well disappeared under a manhole but there is still some access under a removable cover near to the wall. An old stone sign marks its position. Nearby, a stone stile includes an unusual boundary stone. This mentions one Thomas Pulleyn, who was at one time the Lord of the Manor living at Burley Hall (Burley in Wharfedale). He died in 1759. After Horncliffe Well, we cross the moor to Intake Gate where a sluice gate arrangement channels water to Reva Reservoir. Finally, the walk returns via a disused rifle range where the mechanisms that moved the targets to and fro can still be seen. There are good views over the Wharfe Valley and across as far as Emley Moor.